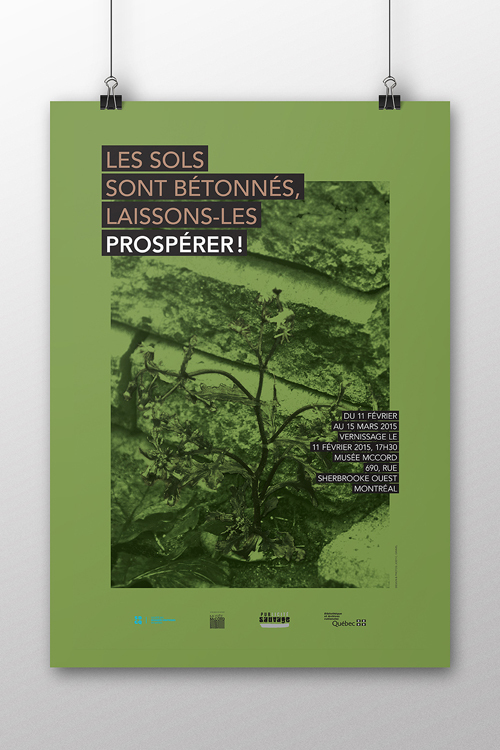 This three-poster series was designed for a contest organized by the Société des Designers Graphiques du Québec (SDGQ) to promote 2015 as the International Year for Soils. 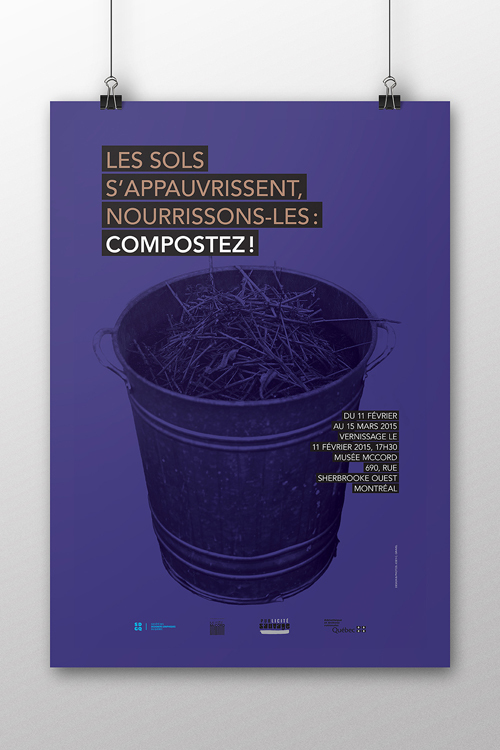 The concept is to bring attention to the critical situation of soils, while encouraging a change in our habits, through a simple but communicative and efficient design. 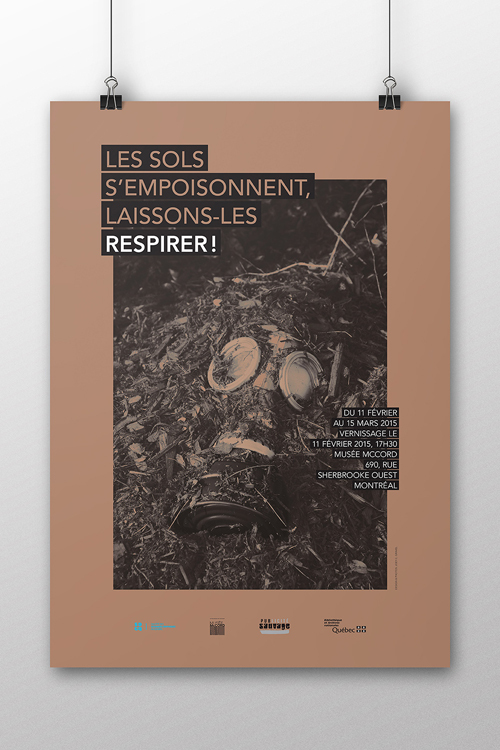 The evocative and self-referential visuals at the core of each poster, the consistency of the layout, and the simplicity of the colour palette in relation to the subject are key elements to convey the main message.